The Young and the Restless (Y&R) spoilers tease that Chelsea (Melissa Claire Egan) will find herself in quite a bind on this week’s new Y&R episodes, January 29-February 2. Nick (Joshua Morrow) will realize there’s major moolah in the bathroom duct. He’ll confront Chelsea about why these stacks of cash were squirreled away. Nick may feel like this has Adam Newman (Justin Hartley) written all over it. He might think the money was part of Adam’s contingency plan. Y&R fans know that Adam was always getting stuck in messes. Chelsea and Adam nearly made themselves vanish plenty of times over the years. Nick will also consider the possibility that this cash is stolen. He’ll throw out some scenarios and try to gauge Chelsea’s reaction. The Young and the Restless spoilers say Chelsea will lash out over Nick’s accusations. She’s already had Adam on her mind lately. This isn’t a great time for Nick to push Chelsea on her Adam issues. Chelsea will refuse to let Nick trash Adam’s memory. She’ll defend Adam as a good man who loved her. Chelsea won’t sit there and listen to Nick speak ill of the dead. Of course, Adam probably isn’t dead at all. Y&R has been dropping his name way too many times for Adam to be gone forever. 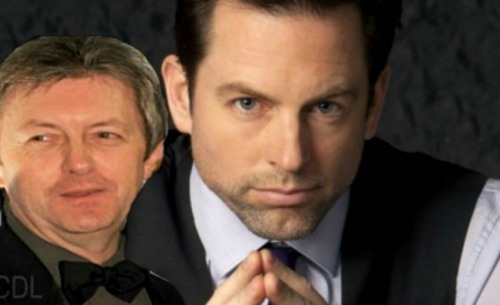 The CBS soap is either in the process of recasting or Michael Muhney will reprise the role, but the point is the character Adam Newman is returning. All of this could be part of the setup for Adam’s big comeback. Chelsea’s hidden money could be tied to Lauren’s mystery, but what if this also involves a more shocking secret about robbing Fenmore’s? Chelsea will stop by the columbarium this week. Her creepy crypt trip will involve shoving cash stacks in one of the slots – Y&E buzz says that the slot she’s putting the cash into is none other than Adam Newman’s! The Young and the Restless spoilers say Chelsea will be desperate to hide the truth. Could Chelsea know that Adam’s still alive?! Y&R buzz says Chelsea may be stealing from her own division at Fenmore in order to leave money for Adam! She grieved for her husband at the time of his death, but that doesn’t mean she’s still grieving. Adam could’ve reached out to Chelsea recently. He might’ve revealed that he survived the blast, but needed to stay away for the safety of his family. Adam is still a wanted man anyway. He might’ve argued that this is just how it has to be. Chelsea’s still been sad over the last couple weeks and talking about Adam, but maybe that’s because she knows he’s out there and she can’t be with him. Do you hope Adam will return to Genoa City? We’ll give you updates as other Y&R news comes in. Stay tuned to the CBS soap and don’t forget to check CDL often for the latest Young and the Restless spoilers, updates and news.